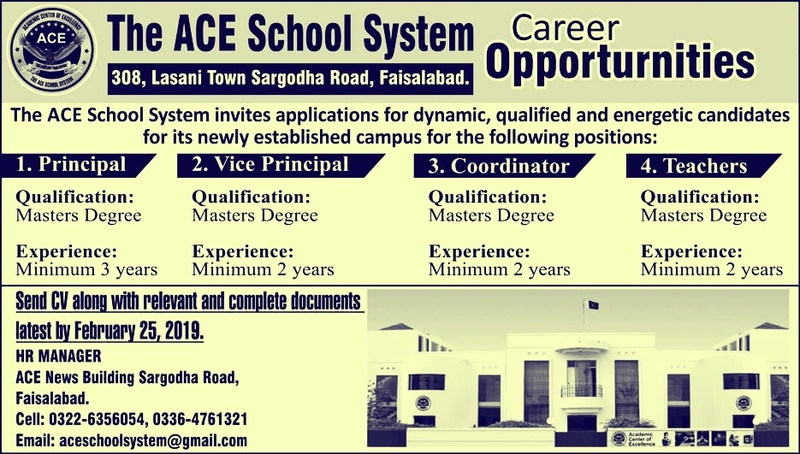 The ACE School System Faisalabad have been announced for the Principal and Teacher. I will provide you with complete information. If you live in Faisalabad and are interested in having a tutorial, then you have the best chance to do this in a private job. How To Apply for ACE job 2019? Send CV along with relevant and complete documents latest by February 25, 2019. 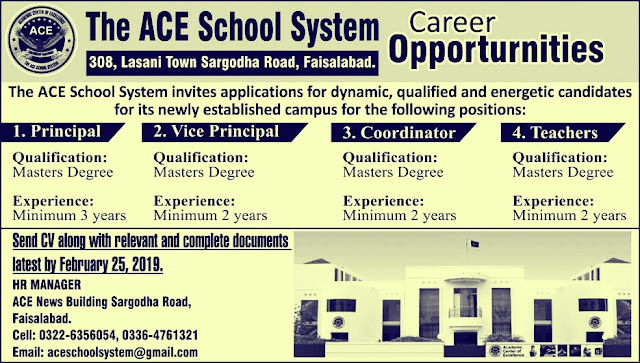 ACE News Building Sargodha Road, Faisalabad.